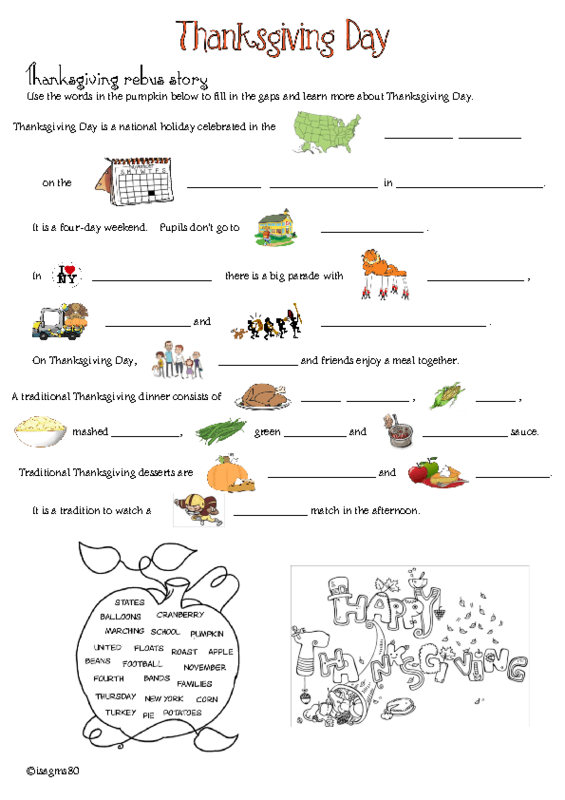 Most holidays come with new vocabulary.This is a one page worksheet for teaching or revising Thanksgiving day. 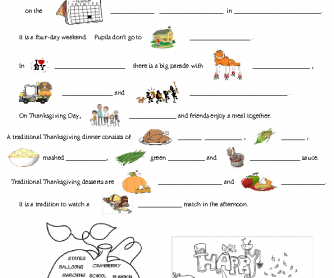 Students fill in the gaps and learn how Thanksgiving is celebrated today in the USA. It's a rebus story. However the missing words are in a pumpkin at the bottom of my document.